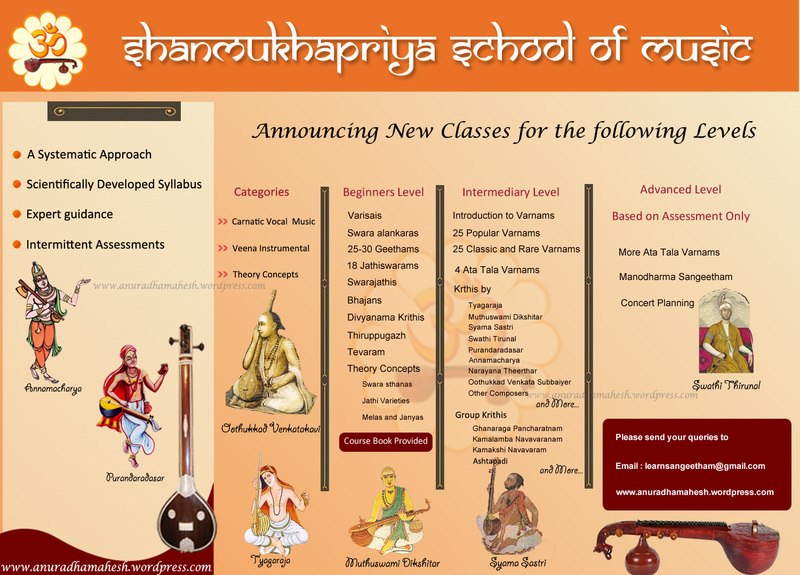 Shanmukhapriya School of Music was established in the month of Oct, 1996 in a very small scale and as of now, has completed 21 long years of musical training for dedicated and passionate students of Carnatic Music. The institution imparts professional training in Carnatic Vocal and Veena with the aim of providing a platform for musically inclined minds to nurture their talents . There are a handful of dedicated students learning Carnatic Vocal Music, Veena Instrumental, Ashtapadi along with traditional Slokas and Bhajans. The music school follows a very structured syllabus along with fundamental theory concepts. The school also caters to those students who need an in depth theoretical knowledge along with practical lessons. Has been training many students in India, USA, UK , Europe and Middle East. – To contribute growth in a spiritual manner through divine music education. We are located at Edappally, Ernakulam, Kerala. We do not have any Branches !!! For more details please send a mail to learnsangeetham@gmail.com.